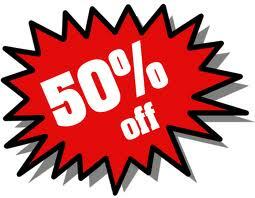 Hobby Plans and Projects - IMMEDIATE DOWNLOAD, Build some sleds and toys! OUTDOOR PROJECT PLANS, DOWNLOAD SET, BENCHES, GARAGES, AND BUILDINGS SET. The man at the center of it all was Abraham Lincoln. This DVD contains a stirring biography of his life, from early childhood, to death. 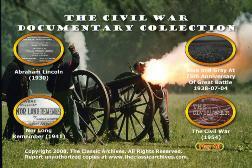 The Civil War and Abraham Lincoln Documentary Films Collection on DVD. An original production published by The Classic Archives! The American Civil War (1861–1865) (also referred to as War Between the States, among other names) was a civil war between the United States of America (the "Union") and the Southern slave states of the newly formed Confederate States of America under Jefferson Davis. The Union included all of the free states and the five slaveholding border states and was led by Abraham Lincoln and the Republican Party. Republicans opposed the expansion of slavery into territories owned by the United States, and their victory in the presidential election of 1860 resulted in seven Southern states declaring their secession from the Union even before Lincoln took office. The Union rejected secession, regarding it as rebellion, and the war began. The man at the center of it all was Abraham Lincoln. This DVD contains a stirring biography of his life, from early childhood, to death. Also included a re-enactment of his Gettysburg Address, as a great general documentary on the Civil War. A biography of the beloved United States president by D. W. Griffith. Brief vignettes about Lincoln's early life include his birth, early jobs, (unsubstantiated) affair with Ann Rutledge, courtship of Mary Todd, and the Lincoln-Douglas debates; his presidency and the Civil War are followed in somewhat more detail, though without actual battle scenes; film concludes with the assassination. Provides a re-enactment in which Lincoln delivers his Gettysburg Address. Pictures a discussion of the ceremony days later by the president's contemporaries. Dramatization of important military events and imagery of the places where they occurred. This film gives a very good overview of the main events of the American Civil War. It would make a great reference of about the proper length for a high school paper on the subject.